Get handpicked single cup coffees delivered monthly. Are you still drinking the same boring coffee each and every morning? It's time to discover new brews and savor new flavors. It's time to mix it up! Choose your box size and mix options. 2. 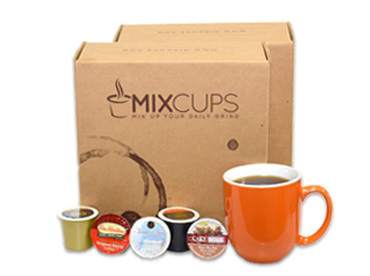 We create your MixCups box. Each month, we handpick a new mix of single-cup coffees, including new roasts and seasonal favorites. 3. Enjoy your monthly box o' joe! Experience new aromas and savor new flavors. Sit back, relax and enjoy the variety! Cancel or skip a renewal at any time. No hassle! Need a last minute gift? No problem! Get a box for yourself or send a gift to a friend in need! Get a box every month and never run out! The perfect choice for the occasional coffee drinker. Or someone looking for a supplement to their regular coffee. They say variety is the spice of life and our Medium Club Mix is sure to cure your coffee addiction! 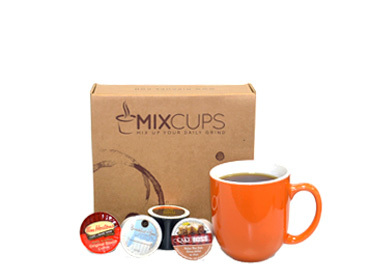 Make it a double shot with our Mega Mix! This mix is great for couples or for serious coffee addicts. Need a last minute gift? 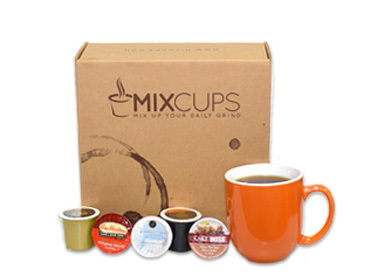 Order a MixCups gift card!